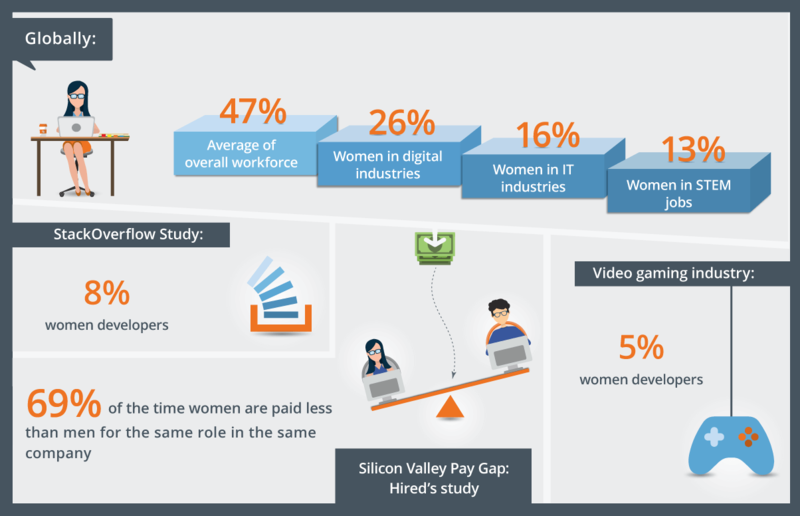 Women in tech: Do the numbers add up? When you read about famous women in tech talking about their experiences, you’ll have an anecdote about how she was the only woman in the male-dominated room of tech wizards. At times ignored, women had a tough time getting their voices heard and opinions valued, and that’s putting it mildly. Many of their stories have a common thread of growing up battling stereotypes at the workplace, parental pressure at home, and a myriad unconscious biases. Well, that’s how it was. Things must have changed. Surely. We are living in such a progressive age, for heaven’s sake. Reading about the recent gender discrimination fiasco at Uber, you can’t be faulted for being skeptical. Uber’s tech teams have very few women—an appalling 15.1%. And to make matters worse, the “underrepresentation” came under public scrutiny only after Susan Fowler, a reliability engineer at Uber, published a traumatizing post about sexual harassment. Statistics paint a dismal picture. In the tech world, sexism seems to be taking much longer (than one would like) to disappear. Elevating their voices is a struggle. The awareness is there. There’s enough talk about lack of gender diversity at workplaces. But where is the conversation, huh? This post is not a feminist rant. We’ll just look at what the numbers are telling us. Data says that women don’t really enjoy equal representation. In 2014, women added up to only 17% of tech workers at Google, 15% at Facebook, and 10% at Twitter according to the American Association of University Women. In 2014, 11 global software giants published data that only 30% of the IT workforce is female. In 2015, professional computing occupations in the US workforce held by women was 25%. This was the same number in 2008, whereas in 1991, it was 36%. In the UK, a 2014 study showed that only 1 in 21 IT job applications were women. 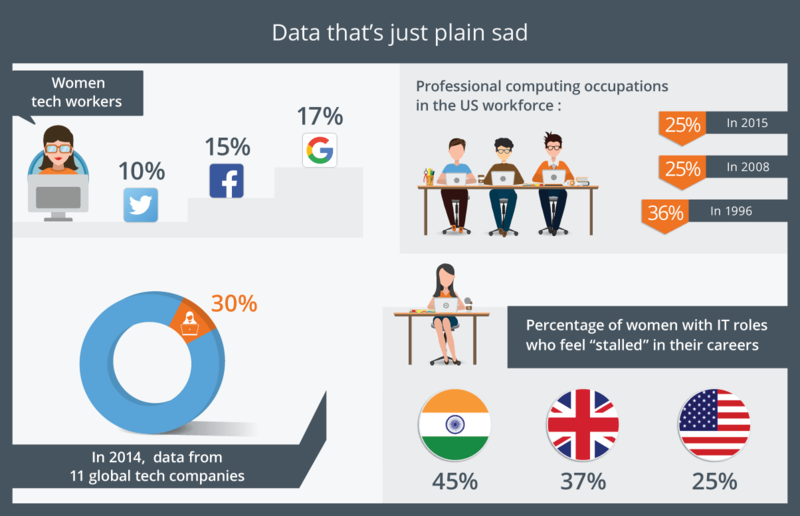 In the US, 25% of the women with IT roles “feel stalled in their careers;” in India it is 45% percent and the UK it is 37%. In the US, a 2014 study said that “unfriendly” policies, poor pay, unfair promotion, and a bro-grammer culture resulted in 45% of women leaving their tech jobs after a year. Women hold only 26% of digital industry jobs; it is 16% in IT, and 13% in STEM. 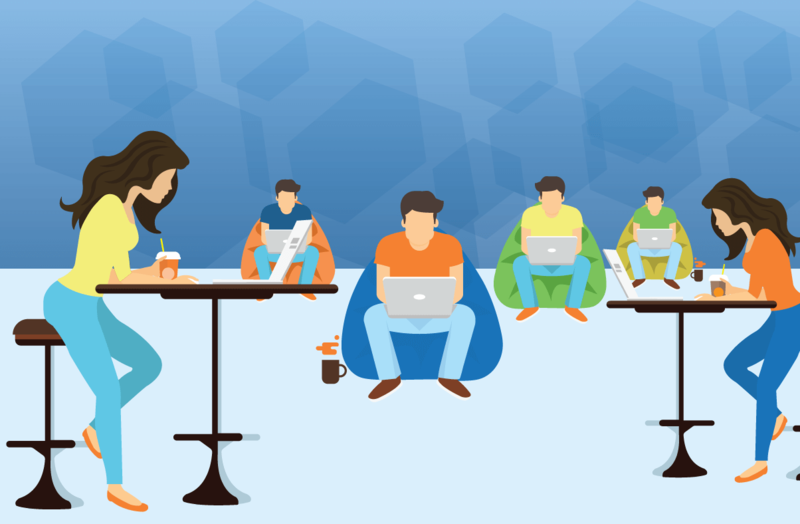 A Stack Overflow survey says that only 8% of the software developers are women. Women constitute just 5% of the programmers in the video game industry. However, IGDA’s survey shows an 11% increase since 2009. In Silicon Valley, women earn significantly lesser than men in similar roles. Look at the findings of another study validating much of the stats above. There’s a reason it’s a boy’s club, and should be. After surveying leaders in the IT industry, a Nominet-commissioned report, Closing the Gender Gap, revealed that the UK economy could find itself richer by £2.6 billion if it gave more IT jobs to women. In 2015, this is what research found while analyzing code approved by GitHub: “Women’s acceptance rates dominate over men’s for every programming language in the top 10, to various degrees.” Unfortunately, this finding held true only when the women did not disclose their gender. CodeFights found that women and men do almost equally well in coding challenges. Look at this infographic. Stats show that in specialized coding academies, women students comprise 35%. A McKinsey study showed that companies with over 15% of the women in top management roles had noticeably higher debt-to-equity ratios and payout ratios. McKinsey says that the annual global GDP could go up to 26% in 2025 if women participated equally in the economy. The Peterson Institute for International Economics surveyed 21,980 firms from 91 countries to conclude that increasing the representation of women to 30% in a company that had none to begin with could lead to a 15%-increase in revenue. Getting back to the original question, no, the numbers don’t quite add up, at least not in Uncle Sam’s country. It is getting worse. With 57% of the workforce being made up of women, women account for only 5% of tech leadership jobs, 19% of developers, and less than 30% of IT jobs. Microsoft reported in 2015 that women comprise 29.1 percent of its workforce, with only 16.6 percent in technical positions and 23 percent in leadership roles. Only 21% hold leadership positions in the already poor representation of women at Twitter. Only 21% of women in its 17% women workforce have managerial roles. Except in the UK, US, and Canada, girls do better than boys in science and math at school. But somewhere along the way, this phenomenon gets buried under layers of stereotypes and circumstances, and now we have only 3 of the Fortune 500 tech companies with women as leaders. And you thought scaling Mount Everest was tough. In the U.S., the percentage of women majoring in computer science fell from 36% in 1985 to 18% in 2012. Girls hold themselves back for so many reasons. Self-perception is often skewed. They are even told that looking geeky with their noses in books is a major turn off for the boys. Data shows that a whopping share of girls are interested in the problem-solving aspects and the creativity STEM offers. But they typically pick medicine or healthcare as a career choice over computers and engineering. These girls are conscious of the pervasive bias against women; they fear the isolation, sexism, and the lack of recognition they could face at the university or workplace. Some women also find programming boring. Some others believe that programming serves a male master. And stories of a viciously misogynistic Silicon Valley can’t be helping matters. Women don’t seem to have enough role models. If they could interact or look up to more women playing starring roles in STEM related careers, it will encourage persistence. Who is going to tell them that their contribution will make a difference in the world? However, we are in an age where fighting for their piece of the pie has been much easier for women than ever before. And, there’s mounting evidence proving how successful skilled women can be and how the world economy can only grow with more women at all levels. Fairness is about cleaning out the closet filled with centuries’ old prejudices and fears. It is about boys at school knowing that smart girls are not intimidating or ugly; it is about girls at school knowing that the world is as much theirs; it is about parents encouraging their daughters to bravely storm male bastions; it is about skilled young women in universities believing in themselves, dreaming, and taking for granted the opportunities that will come their way; it is about women employees knowing that they can work in a safe environment unaffected by sexism, unequal recognition, and condescension; it is about not making men feel guilty for no reason; and it is about companies recognizing that gender disparity has far-reaching consequences and making a conscious effort to mitigate them. 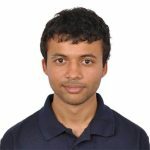 Developer Evangelist and Community Manager | Startups | Philosophy | Photography | Music | Cooking | SND | GDG BLR | Believe in making things simple & straight forward!